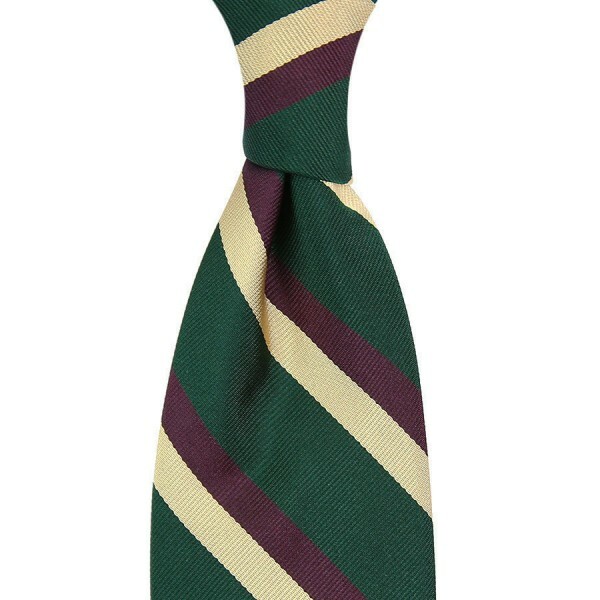 Product information "Repp Stripe Silk Tie - Bottle / Purple / Champagne - Handrolled"
Forest green repp tie with burgundy and champagne double stripe. Simple, versatile, elegant: one of our favorites of the collection. Combines perfectly with a dark grey suit, light blue button down shirt, printed silk pocket square, honey barathea braces and chocolate brogue. Related links to "Repp Stripe Silk Tie - Bottle / Purple / Champagne - Handrolled"